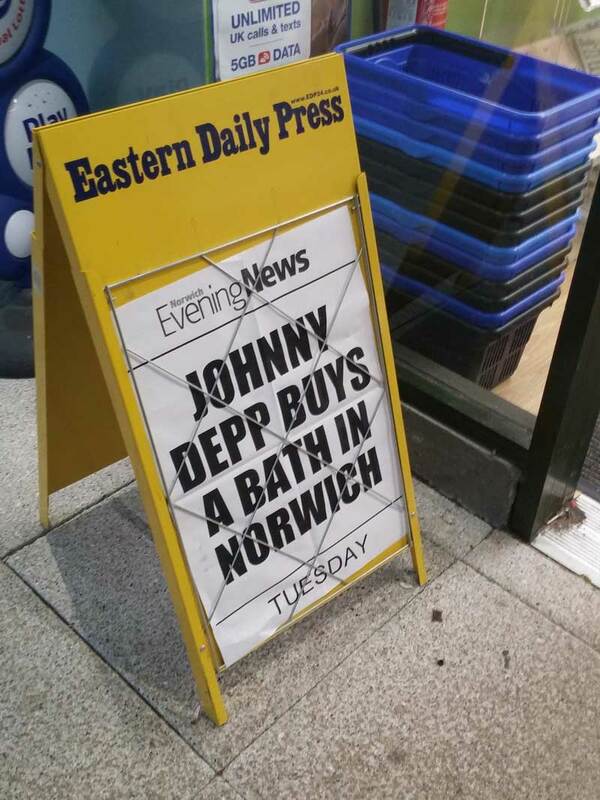 Johnny Depp has finally come clean about reports that he bought a £5,000 bathtub from a shop in Norwich, Norfolk. The actor has now confirmed his purchase from Stiffkey Bathrooms, in Upper St Giles Street in 2014. The French Bateau bath on ornate feet which dates back to 1880, was then shipped to America. But he said he had since got rid of the antique, without stating what led him to his decision. “We disposed of the thing and everything’s fine,” said Mr Depp. 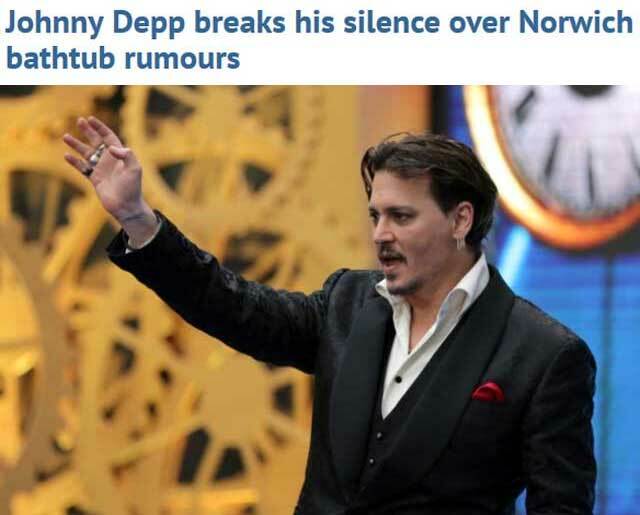 He also denied rumours that he was spotted buying spatulas in Bath, Somerset. I now have visions of a fear and loathing / pirates of the Caribbean / last of the summer wine crossover. Jonny Depp in an expensive bathtub going down the yorkshire dales. 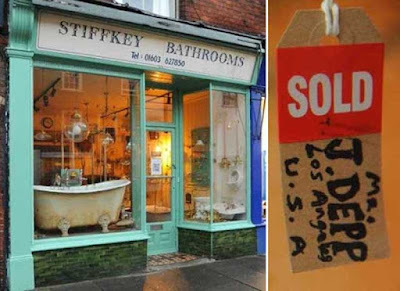 You can get those antique tubs pretty cheap -I've had a couple- but getting them reglazed is expensive, and shipping them to a glazer and back is even more expensive. I can imagine one in pristine condition is pricy. I'd love to have one nice enough to really use.